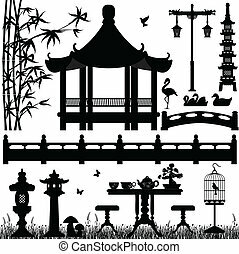 A set of Asian garden scenery. 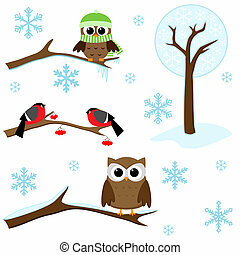 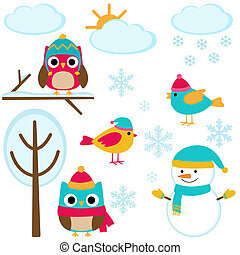 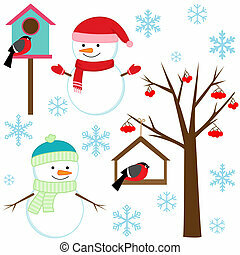 Snowmans, birds, tree, snowflakes and birdhouses - winter set. 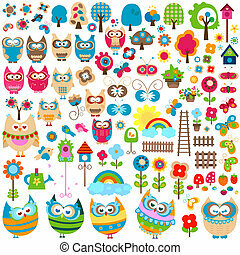 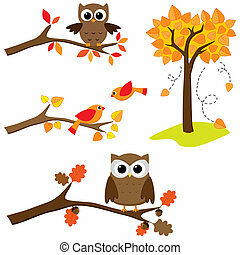 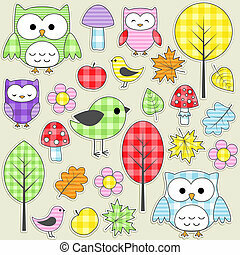 Set of autumn nature elements: branches with sitting owls and birds and . 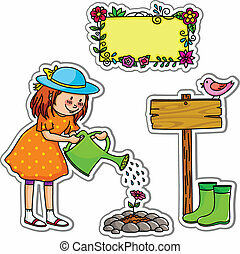 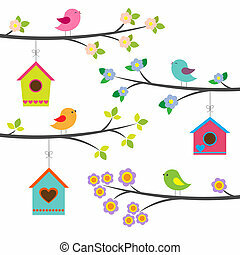 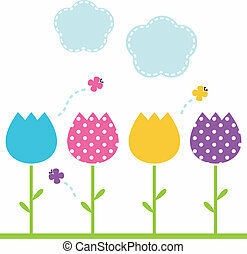 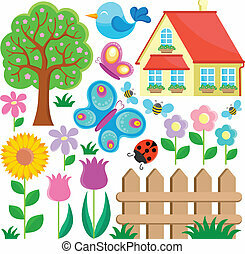 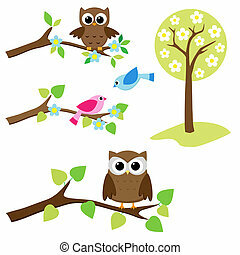 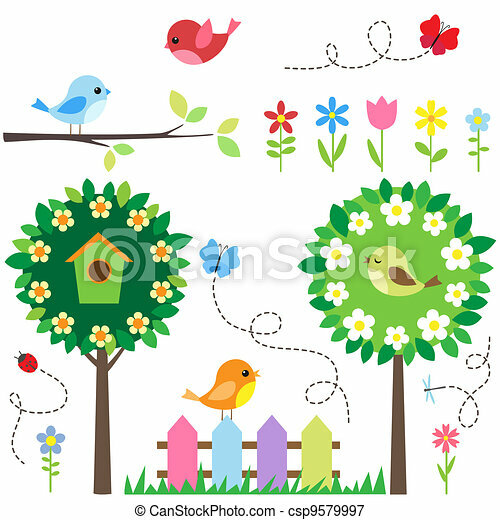 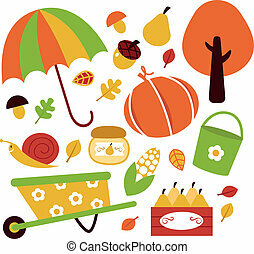 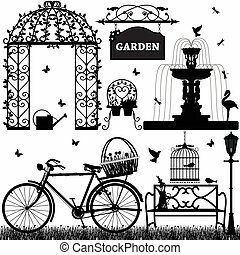 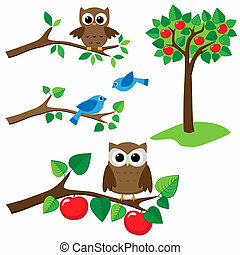 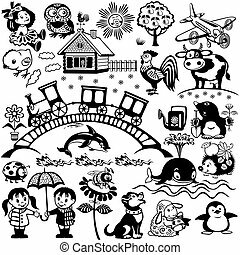 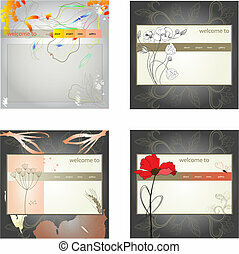 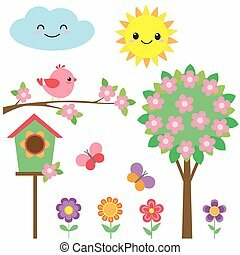 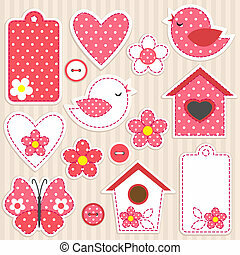 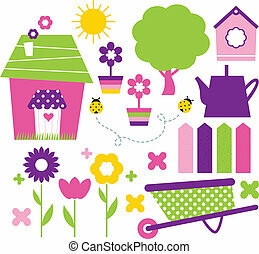 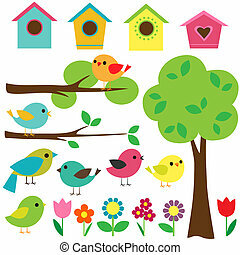 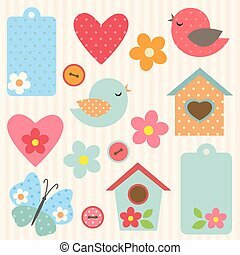 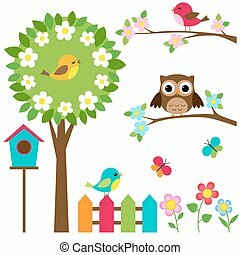 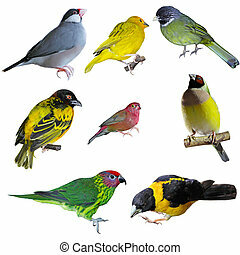 Set of summer nature elements: branches with sitting owls and birds and apple tree. 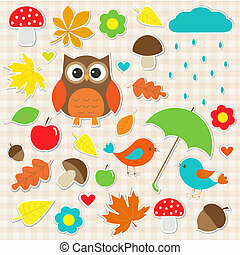 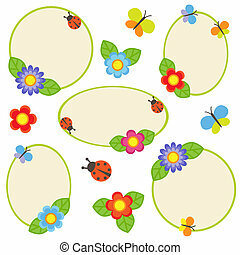 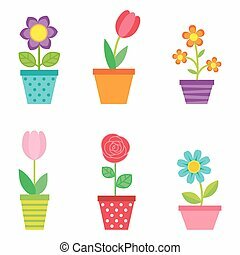 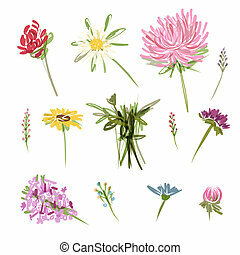 Set of autumnal textile stickers.